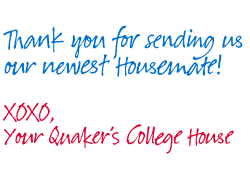 While we’re busy welcoming your new Penn student to their College House, we wanted to take the opportunity to welcome you as well! 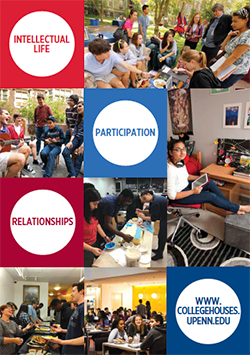 We know that the College House your student has been assigned to is probably their first home away from home, so we want you to get to know us and the ways we’re going to help them adjust to life at Penn. We take great pride in the community that lives in your student’s House, and we hope your student will find their on-campus home as welcoming and exciting as generations of Penn students have before them. We’ve compiled a Resource Guide for our new students that will be waiting for them when they get to their room. You can peruse it as well, to get to know the resources available to your student in case they ask your advice while they get used to life on campus. ***This PDF is updated annually in August.